The Void ...and Designercon 2016! There is a crisis in the Lazarus Sector, Galaxxor. Your brothers, 002 and 005, are currently locked in battles on two fronts. It is the intention of Lord Gorgax to bolster his forces there. As I speak, the Space Barbarian Skalldron has taken Gorgax's greatest ship, The Void, and filled it with soldiers from The Evil Mutant Legion. They are headed directly for The Lazarus Sector in hope of turning the tide of the conflict, and crushing your brothers. It is up to you, Galaxxor 011, to intercept The Void, and eliminate this threat. The Void sliced through the swirling cosmic expanse of space. It was a massive longship built of a material so black, that it only registered as the total absence of light. In its control room, Skalldron gathered a group of 13 of his most elite warriors. Facing away from them, he looked upon a sprawling holoscreen. Amid clusters of arcane data readings was the image of Cerberus, a moon-sized pyramidal space fortress. Skalldron turned to face his men, steam rising from the joints in his armor. From the empty blackness of his helm, an eerie yellow glow projected from his cybernetic eyes. Prepare your troops, Generals. We reach The Lazarus Sector in four cycles! Once again this year, I have the honor of attending Designercon (Nov 19th and 20th in Pasadena, CA) as an exhibitor. I'll be at booth #1001 with my friends and fellow Glyosians The Godbeast, Mystical Warriors of the Ring and Bio Masters. I'll be bringing along what little stock I have left of Galaxxor 001/Thanyr, Gorgax/Roxxalag and Galaxxor 007/Infernicus. I will also be debuting a brand new figure, one which is heavily inspired by one of my all time favorite properties, Galaxxor 011/Skalldron. 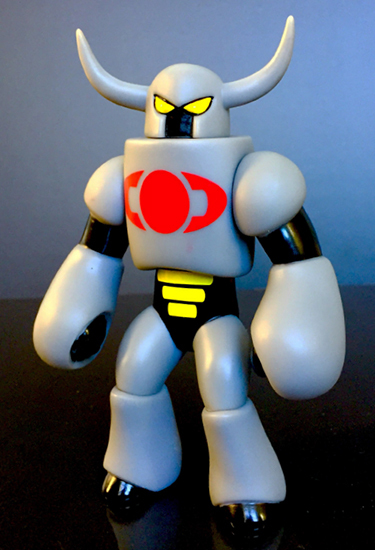 As with the other Glyos-compatible Galaxxor vinyl figures, Galaxxor 011/Skalldron will come with both the dome and the horned head. 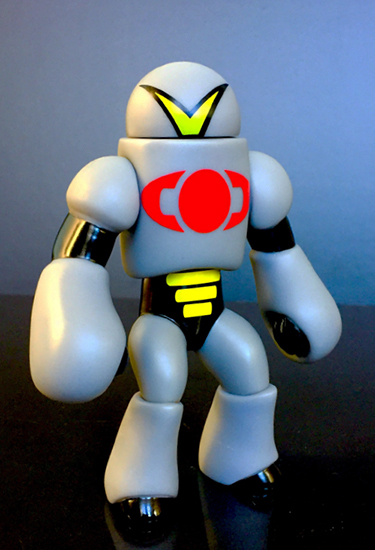 Galaxxor 011/Skalldron will be $30 each and will debut at the con. Leftovers will be available on galaxxor.com following the show. Looking forward to seeing you at Dcon!